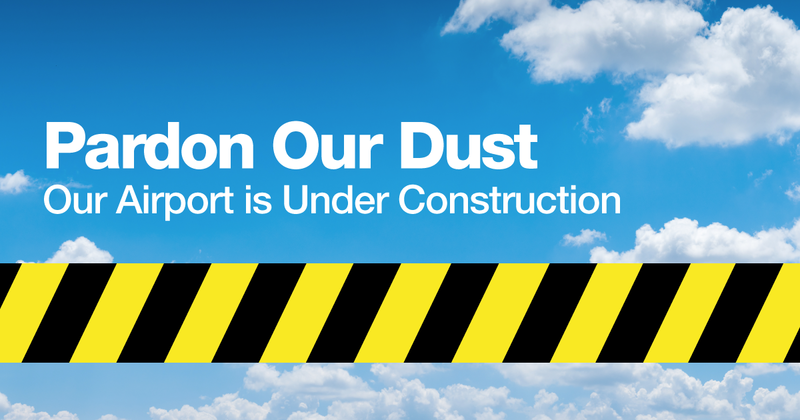 Pardon our dust! 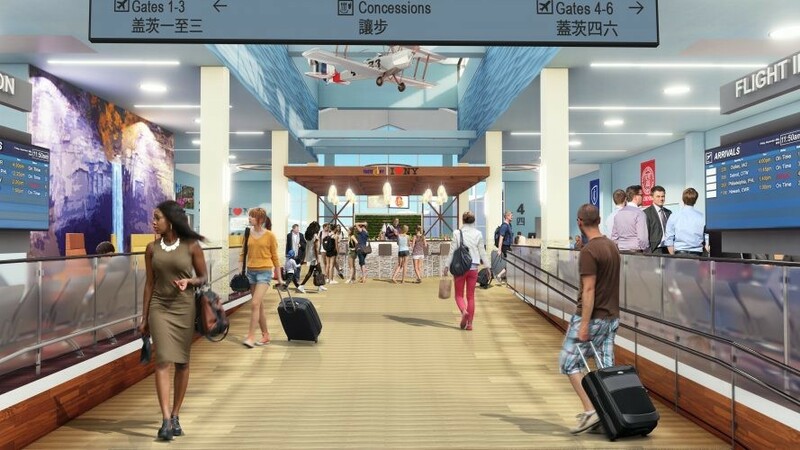 Your favorite regional airport will begin to look different as we move forward with our $24.7 million renovations. Throughout the construction period, we will be posting regular updates on what visitors may expect as they fly through ITH. 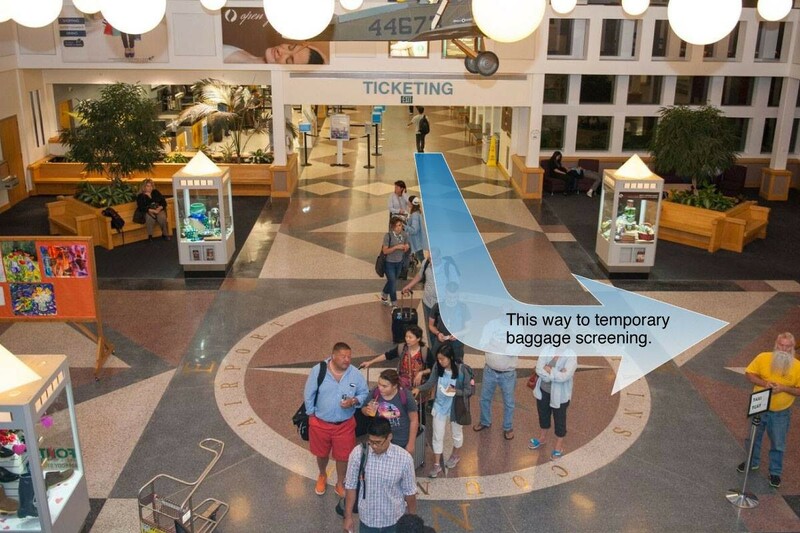 Be sure to check back here often as we transform into the “Airport of the Future.” Thank you for flying with us! 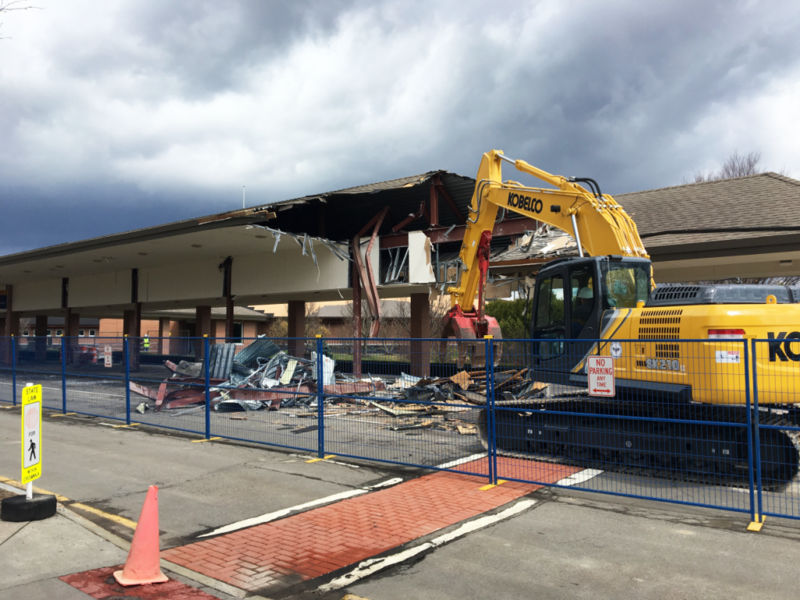 Beginning April 8th, demolition of the Airport Entrance Canopy is set to extend through the week (4/8 – 4/12). Terminal access will be limited to one lane. Please be advised to use caution when loading and unloading passengers. Follow all signs and do not hesitate to ask any airport employee for assistance! 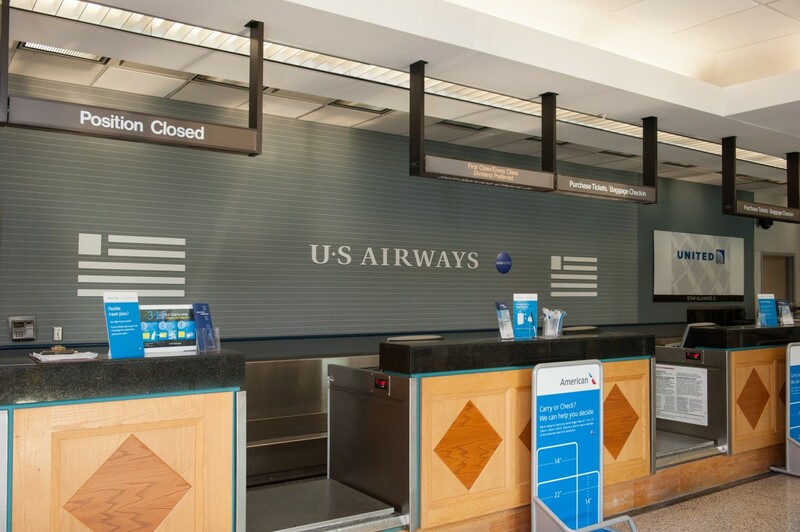 Beginning Wednesday, January 16, the American, Delta, and United ticketing counters will be temporarily relocated to the west wing of the airport terminal. The American ticketing counter will be adjacent to baggage claim, while Delta and United will be situated next to the rental car counters. This move is to accommodate the remodeling efforts taking place in the current ticketing area as part of our overall renovations. By Friday, January 18, check-in for all flights will be located in the west wing of the airport terminal. There will be signage and airport personnel on hand to help direct passengers to their airline’s ticketing counter. Please do not hesitate to ask any airport employee for assistance. As a reminder, we recommend arriving 90 minutes ahead of your scheduled departure and using your airline’s pre check-in to access your boarding pass. Please be sure to check back regularly for the most up-to-date construction updates. From 7 – 10 am on Friday, November 30, passenger drop-off will be temporarily rerouted to the short-term parking lot to accommodate construction in front of the terminal. Airport personnel with flags will be on hand to direct traffic through the short-term parking lot. Construction during this time may cause delays at check-in. Passengers with mid-day departures on November 30, particularly those traveling on the 10:33am flight to Philadelphia, are encouraged to allow extra time for check-in. Please arrive at least 90 minutes prior to your flight’s departure. Beginning Thursday, November 15, baggage check-in will be temporarily relocated to the west wing of the airport terminal, adjacent to the baggage claim area. Passengers who wish to check their luggage will be directed to the new baggage screening location. 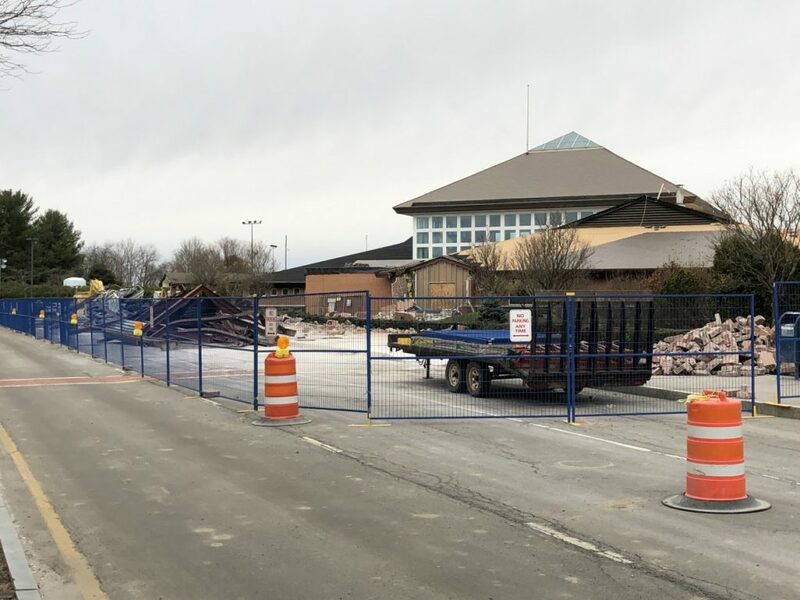 Beginning Tuesday, November 13, the first wave of the $24.7 million construction project to expand and modernize the Ithaca Tompkins Regional Airport will be focused in the ticketing area of the terminal. Passengers flying out of ITH may experience delays in check-in, especially those with checked baggage. As part of the temporary changes to accommodate the construction, all checked-in luggage will need to be screened by hand. If you will be checking luggage for your trip, we recommend allowing an extra 30 minutes for check-in, or arriving at least 2 hours before your flight. All other passengers should continue to arrive at least 90 minutes ahead of their scheduled departure. Don’t forget to take advantage of your airline’s pre-check-in to receive your boarding pass prior to arriving for your flight. We are so excited to take these first steps towards our new and improved airport. These changes will enable ITH to support the travel needs of our community and visitors. Thank you for your understanding as we undergo these renovations. And, as always, thank you for flying ITH! 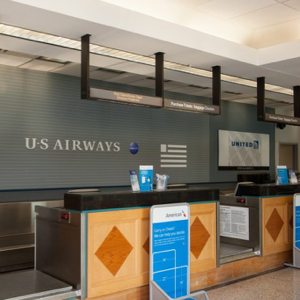 Beginning Wednesday, January 16, the Delta, American, and United ticketing counters will be temporarily relocated to the west wing of the airport terminal, adjacent to the car rental counters.